For more information on buying your next dream home visit my Buyers Page or if you would like more information on selling your home visit my Sellers Page. If you have any questions or would like more information about anything Contact Me. When looking for your dream home lots of questions pop-up, it is always helpful to have people on your side. Contact Me and I will help you to find your dream home. First and foremost it is strongly recommended that you hire a professional person to inspect the home. Many inspectors belong to the American Society of Home Inspectors (ASHI). They attend seminars and stay abreast of the latest developments. Secondly some states require sellers to complete a disclosure form revealing everything known about their property. Home sellers are required to indicate any significant defects or malfunctions existing in the home’s major systems. A checklist specifies interior and exterior walls, ceilings, roof, insulation, windows, fences, driveway, sidewalks, floors, doors, foundation, as well as the electrical and plumbing systems. Different sellers price houses very differently. Some deliberately overprice, others ask for pretty close to what they hope to get and a few (maybe the cleverest) under price their houses in the hope that potential buyers will compete and overbid. A seller’s advertised price should be treated only as a rough estimate of what they would like to receive. If possible try to learn about the seller’s motivation. For example, a lower price with a speedy escrow may be more acceptable to someone who must move quickly due to a job transfer. People going through a divorce or are eager to move into another home are frequently more receptive to lower offers. Various types of loan programs exist. Some require a minimum of 3 percent down payment (FHA Loans) or 5 percent on conventional loans. Veterans can purchase with no money down (VA Loan). Putting down as little as possible allows buyers to take full advantage of the tax benefits of home ownership. Mortgage interest and property taxes are fully deductible from state and federal income taxes. Buyers using a small down payment also have a reserve for making unexpected improvements. It may be more prudent to make a larger down payment and thereby reduce the amount of debt that must be financed. Once a buyer puts twenty percent or more as a down payment on their desired home, they will waive the requirement for mortgage insurance. Mortgage insurance is a requirement on all loans, with the exception of veterans guaranteed loans. That means a full years premium for the insurance is collected “up front’ at the closing of escrow, plus you will be paying monthly as part of your PITI, principle-interest-taxes-insurance. Title insurance is a form of insurance in favor of an owner, lessee, mortgage or other holder of an estate lien, or other interest in real property. It indemnifies against loss up to the face amount of the policy, suffered by reason of title being vested otherwise than as stated, or because of defects in the title, liens and encumbrances not set forth or otherwise specifically excluded in the policy, whether or not in the public land records, and other matters included within the policy form, such as lack of access to the property, loss due to un-marketability of title, etc. The title policy form sets forth the specific risks insured against. Additional coverage of related risks may also be added by endorsements to the policy or by the inclusion of additional affirmation insurance to modify or supersede the impact of certain exceptions, exclusions or printed policy “conditions.” The policy also protects the insured for liability on various warranties of title. In addition, the policy provides protection in an unlimited amount against costs and expenses incurred in defending the insured estate or interest. Before it issues a title policy, the title insurance company performs, or has performed for it, an extensive search, examination and interpretation of the legal effect of all relevant public records to determine the existence of possible rights, claims, liens or encumbrance that affect the property. However, even the most comprehensive title examination, made by the most highly skilled attorney or lay expert, cannot protect against all title defects and claims. These are commonly referred to as the “hidden risks.” The most common examples of these hidden risks are fraud, forgery, alteration of documents, impersonation, secret marital status, incapacity of parties (whether they be individuals, corporations, trusts or any other type), and inadequate or lack of powers of REALTORS® or fiduciaries. Some other hidden risks include various laws and regulations that create or permit interests, claims and liens without requiring that they first be filed or recorded in some form so that the potential buyers and lenders can find them before parting with their money. Since the cost for home owner’s title insurance is usually sharply reduced when taken simultaneously with the issuance of a purchase money mortgage, the risk is one that a well informed buyer should not take. In fact, several states have adopted statutory requirements which require a notice to home buyers as to the availability of title insurance similar to that being obtained by their purchase money mortgages. Sales price increases in either type of housing are strongly tied to location, growth in the local housing market and the state of the overall economy. Some people feel that buying into a new-home community is a bit riskier than purchasing a house in an established neighborhood. Future appreciation in value in either case depends upon many of the same factors. Others believe that a new home is less risky because things won’t “wear out” and need replacement. “Existing homes have been appreciating a little more than new homes but every once in awhile they’re at the same level and sometimes the new home prices go up a little quicker” according to the National Association of REALTORS® (NAR). Distressed properties or fixer-uppers can be found everywhere. These properties are poorly maintained and have a lower market value than other houses in the neighborhood. It is often recommended that buyers find the least desirable house in the best neighborhood. You must consider if the expenses needed to bring the value of that property to its full potential market value are within your budget. Most buyers should avoid run-down houses that need major structural repairs. Remember the movie “The Money Pit?” Those properties should be left to the builder or tradesman normally engaged in the repair business. HUD’s Rehabilitation loan program, Section 203(K) is a program designed to facilitate major structural rehabilitation of houses with one to four units that are more than one year old. Condominiums are not eligible. A 203(K) loan is frequently done as a combination loan. You purchase a “fixer-upper” property “as is” and rehabilitate it. 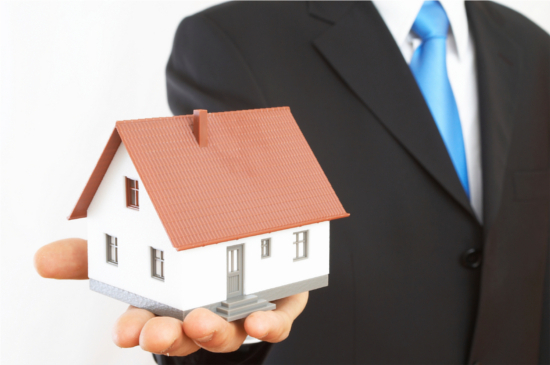 Or, you may refinance a temporary loan to buy the property and do the rehabilitation. It can also be done as a rehabilitation-only loan. Investors are required to put 15 percent down. Owner-occupants have a required down payment of 3 to 5 percent. A minimum of $5,000 must be spent on major improvements. Major repairs can be: a new heating system, roof, replacement windows, etc. You may then also finance additional repairs and improvements i.e. : new carpeting, kitchen cabinets, appliances, etc. You must of course “qualify” for the total amount you will be borrowing through this program. Two appraisals are required. These appraisals will be on the property “as repaired” not “as is.” Plans and specifications for the proposed word must be submitted for architectural review and cost estimation. Once approved mortgage proceeds are advanced periodically during the rehabilitation period to finance the construction costs. Remodeling a home improves its livability and enhances curb appeal, making it more salable to potential buyers. Some of the popular improvement projects are updated kitchens and baths, enlarged master bedroom suits, home-office additions and increased amenities in older homes. The resale market is often difficult because you are competing with new construction. You need to give your home every competitive advantage you can if you are selling an older home. Home offices are a relatively new remodeling trend. Adding one to a house often recoups 58 percent of the costs, according to a survey found in a report called “Cost vs. Value Report” in Remodeling Magazine. The incidence of foreclosures is cyclical, based on national and regional economic trends. People can get a rough estimate of the number of foreclosures in a target area by dividing its population by 2,500, according to John T. Reed of Reed Publishing, Danville, Calif. New England had so many foreclosures that newspapers added foreclosures-only sections to their real estate classified advertising section. But these states recovered in the mid-1990’s. Buying directly at a legal foreclosure sale can be risky and dangerous. The process has many disadvantages. There is no financing so purchases require cash. The title needs to be checked before the purchase or the buyer could buy a seriously deficient title. The property’s condition is not well known and generally, an interior inspection of the property is not possible before the sale. Additionally, Estate (probate) and foreclosure sales are exempt from some states’ disclosure laws. The law protects the seller (usually an heir or financial institution) who has recently acquired the property through adverse circumstances and may have little or no direct information about it. 3. A buyer can hire a REALTOR® who will represent their interests exclusively. A buyer’s REALTOR® usually requires a retainer which is refunded once the buyer purchases a house. The amount of the retainer differs from REALTOR® to REALTOR®. A buyer’s REALTOR® can perform enhanced services for the buyer, such as preparing a market analysis on the home they are buying. All information provided to the buyer’s REALTOR® shall remain confidential and will not be relayed to the Seller’s REALTOR®.